At one time or another everyone experiences a form of anxiety. And oftentimes you just can’t put a finger on what it is that worries you. Maybe it’s nothing. Maybe it’s everything. That’s part of what can make it really hard to deal with. Anxiety can be debilitating and severely impact your ability to function. Most people, though, just live with it as best they can. You may adopt avoidance strategies, and there’s no shortage of things to distract you — smartphones, substance abuse, binge-watching TV or throwing yourself into a project. But these are short-term fixes. 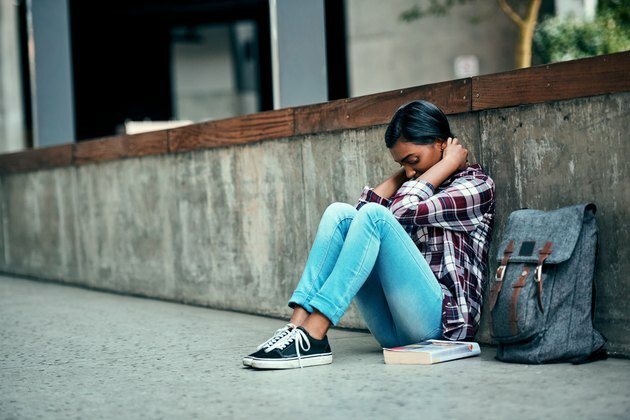 Over time unprocessed anxiety can cause severe damage to your mental health — or at least make your mind a pretty lousy place to live. However, it’s completely possible to put a harness on your anxiety and ride it in a way that leads you to transformation and self-empowerment. These mind hacks aren’t a substitute for therapy, but they may help point you in the right direction for finding a better way to cope. And you might not be surprised that the best antidotes to feeling anxious involve facing your fears head-on! 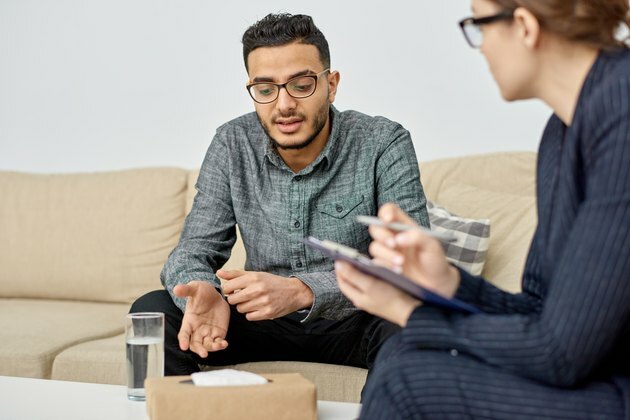 Cognitive-behavioral therapy (CBT) is based on the premise that psychological distress arises from unhelpful and faulty ways of thinking about things, according to the American Psychological Association. CBT is designed to help people master their fears and anxieties by correcting these distorted thought patterns with techniques that include thought-clarification exercises and body-awareness techniques. The goal is to gain a more realistic view of the things that make you feel threatened. While CBT is best experienced with the guidance of a therapist, you can certainly practice some of its tenets on your own. Keeping a “thought record,” for example, is a great way to separate mental clutter from legitimate concerns, says Mara Eaton, a Los Angeles-based therapist who uses CBT techniques to help her clients overcome anxiety and other issues. A thought record entails first writing down the distressing thought. “Perhaps it’s an image of yourself alone in a corner being shunned by everyone at the party, and that gives rise to the thought, ‘People just don’t want to talk to me!’” says Eaton. Breath work, relaxation techniques and body awareness can give you a foundation for keeping your cool that can enhance all of these techniques (see below for more). Everyone has their own triggers, but according to existential psychology, which is as much of a philosophy as a school of therapy, anxiety stems from the awareness that life is short and the fear that you’re wasting what’s left of it. So what’s the way out of this? “Ask yourself what’s in your history that hasn’t been dealt with,” he says. “You’re likely to find that your catastrophic thinking doesn’t match your reality. It’s a matter of changing your focus. Try to think about what you like about your life,” he says. There are many schools of Buddhism, but one thing they all agree on is that anxiety is a fact of human life. Buddha called it “dukkha” — that gnawing feeling of discontent that arises from our constant craving for things to be different than they are. In a consumer society where you’re told that you can have everything you want, it’s easy to think something’s wrong with you if you don’t. Eaton favors diaphragmatic breathing, which actually reduces stress hormones, according to a 2017 study in the journal Frontiers in Psychology. To do this, lie on your back with one hand on your chest and the other just under your ribs on your stomach (so you can feel your diaphragm). Breathe in through your nose as you feel the air push the lower hand (but not the hand on your chest). Contract your abdominals as you exhale through pursed lips. 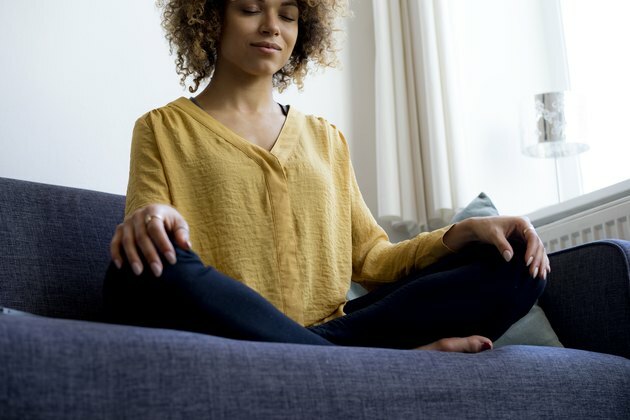 There are numerous other breath techniques, but one favored by CBT practitioners is Square Breathing, also known as relaxation breathing, in which breath on both the inhale and exhale is gradually lengthened by slowing the breathing process. The breath is held for short intervals at each end. Mindfulness is also achieved through simple breathing meditation. With this technique, you breath normally, keeping your attention on the sensation of air going in and out of your nostrils. When thoughts arise, keep your focus on the breath, allowing the thoughts to dissolve without letting your attention get hooked into them. American Psychological Association: What is Cognitive Behavioral Therapy?